The Global Organisation for Humanitarian Work Psychology is led by an Executive Board consisting of a Chair, Vice Chair, six Members, and a Student Representative. The members and the positions they hold are listed below. You can click on any name to learn more about that individual. As Chair of GOWHP, Ashley guides and oversees the organisation’s transition and growth. Bio: Ashley is a doctoral candidate at North Carolina State University, where she is studying Industrial/Organizational Psychology. Ashley is a member of the IOTech4D lab, and is particularly interested in the selection and training of humanitarian aid workers. Ashley is heavily involved in mission work in Haiti, and began her professional interest in the intersection of I/O psychology and humanitarian aid work shortly after a trip there in 2009. Ashley is also interested in providing quality educational opportunities for students to learn about effective and responsible aid, and has taught a course entirely devoted to the topic. She is excited to continue to pursue this goal along with the other members of GOHWP. As Vice Chair, Drew assists the Chair in the running of the organisation and manages the website and organisational membership. Bio: Drew is a doctoral student of industrial and organizational (I-O) psychology at Purdue University (Indiana) in the United States, where he works with Dr. Deborah Rupp. His primary research interests are in the humanitarian applications of work psychology, particularly in multicultural or under-studied environments. Interested in enacting large-scale social change since early in his working career, Drew has spent time working with NGOs in the United States, the Middle East and Asia, where he managed micro through national-level projects on family, community, and culture. Drew is a licensed social worker and holds a masters in Evidence-Based Social Intervention from the University of Oxford, where he studied technology-delivered interventions for depression. His current research projects are in corporate social responsibility (CSR), leadership, and pro- and anti-social behaviors. Chris has worked with work/industrial psychology based committees for a number of years. He has served on the Society of Industrial and Organisational Psychology of South Africa (SIOPSA) ethics, emerging psychologist and regional committee for over 6 years. Chris is also a board member with the South African Career Development Association (SACDA) as well as the African Network for Career Development. His role with the GOHWP is to conceptualise and develop a stakeholder engagements strategy that will not only generate resources but establish a network of key partners in order that work done through the GOHWP can be disseminated as far as possible. Bio: Tom is an industrial & organizational psychologist who brings 25 years of cross-industry, cross-cultural, c-suite experience. In addition, he is Board Chair Emeritus for enACT, inc., an educational nonprofit in New York City. In addition to Fortune 500 clients, Tom consults for non-profits and world-renowned cultural institutions building executives and their teams. As a business executive, Tom led product development initiatives in New York, London and Singapore for a global financial services firm, led human resources strategy and operations for a global consumer products firm and was a senior manager with big four consulting. His Ph.D. is in psychology from The Graduate Center, City University of New York. He is a New York state licensed psychologist with post -doctoral training in cognitive behavior therapy from The Institute for Behavior Therapy in New York. He is extensively published on matters of change management, executive development, performance management, selection and assessment. Tom often teaches for various universities in the New York area and engages in research focused on non-financial predictors of financial performance. Bio: Stuart a Professor of Psychology in Work Psychology at Massey University, New Zealand, coordinates the Poverty Research Group, an international cross-disciplinary network, and is incoming Editor forInternational Perspectives in Psychology: Research, Practice, Consultation, which has a focus on global issues, including Sustainable Development and Livelihoods. He co-convened a Global Task Force for Humanitarian Work Psychology, and led Project ADDUP, a multi-country DFID/ESRC-funded study of remuneration diversity in emerging economies. Stuart has worked/lived in UK, Malawi, remote Australia, Indonesia, Thailand, and New Zealand/Aotearoa. His books are among the first to examine poverty reduction from work psychology and CSR perspectives. Stuart liaises widely with for- and not-for- profit organisations, and co-edits the Journal of Pacific Rim Psychology, which has a focus on development. Bio: Bobbie Murray currently serves as the United States (U.S.) Army Command and General Staff College Human Protections Administrator. Her experience includes twenty-two years of leadership as a U.S. Army military officer with nine years of graduate level teaching experience in finance, economics, ethics, and critical thinking. Her education includes bachelor degrees in both international business and German as well as master degrees in finance and psychology. Bobbie is currently a doctoral candidate pursuing a Ph.D. in Industrial-Organizational psychology. Her research interests include identity, self-regulation, humanitarian intervention, and Just War theory 2025. She holds certifications in the Foundations of Human Subjects Protections, Society for Human Resource Management (SHRM-CP), and Personnel in Human Resources (PHR). Her current projects include an extensive research study related to the ‘do no harm’ employment of U.S. forces during humanitarian interventions outside of the U.S.
Bio: Laura is currently earning her Ph.D. in I-O Psychology at Baruch College and the CUNY Graduate Center. Her dissertation research focuses on the effects of having influence over others at work. Her other work focuses on gender dynamics in organizations and adverse impact in intelligence tests, with a special interest in non-profit organizations. 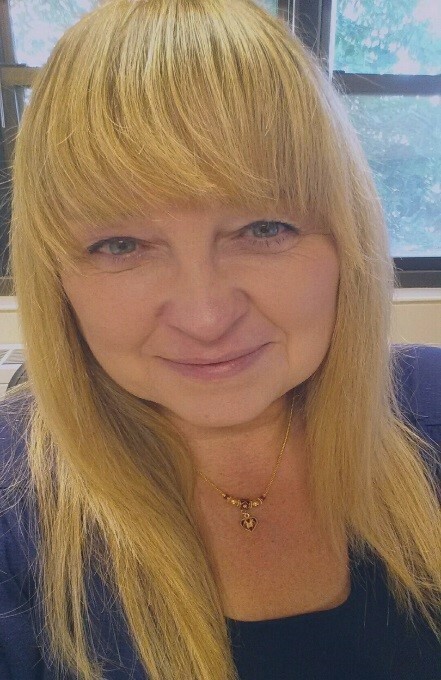 She is a consultant at Sirota Consulting, specializing in employee engagement, as well as an adjunct professor within CUNY, teaching courses in Interviewing and Health Psychology. Laura holds a M.S. and a M.Phil. from Baruch College, and a B.S. in Psychology from Temple University.